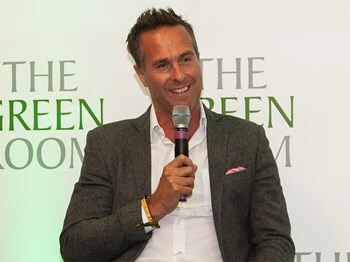 Known for leading the famous England Cricket team to Ashes victory in 2005, Michael Vaughan assured his place in cricket history and has gone on to become one of the sport's most respected commentators - and now he joins a legendary line up of Hospitality Finder ambassadors. Vaughan was ranked as one of the best batsmen in the world after achieving 633 runs in the 2002/03 Ashes series, which included three centuries. Following this success, Vaughan secured England captaincy and lead his team to victory in The Ashes 2005. This was the first time the England side lifted the trophy in eighteen years. Between 2003 and 2008, Michael captained the England side in 51 tests, winning 26 (a national record!) and losing 11. In the Summer of 2004, England won all seven home Tests under his captaincy. Unfortunately, a recurring knee injury and the pressures of his captaincy career took its toll on his batting during the latter part of his career. This led Vaughan to announce his retirement from first-class cricket in June 2009. Following his retirement, Vaughan joined the Test Match Special (a British sports radio programme) as an expert summariser during the England v Australia ODI series. Other broadcasting appearances include commentator on Channel Five's Cricket on Five and the Sport Panel Show 'Fighting Talk' on BBC Radio 5 Live. Michael Vaughan also became the first contestant to be announced for the tenth series of Strictly Come Dancing. Vaughan has many accolades to his name including BBC Sports Personality of The Year Team Award in 2005 but his highest honour came from the Queen's New Years' Honours. Vaughan, alongside team coach Duncan Fletcher and manager Phil Neale, were awarded OBEs in December 2005. You can join Michael inside The Green Room this September as England take on Australia for another thrilling Ashes series on home soil. Get in touch today to secure your VIP tables.